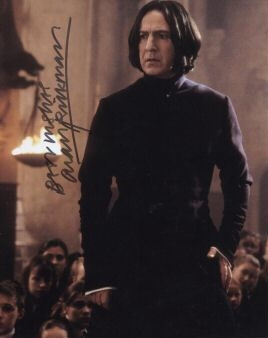 Alan/Severus' signed photo. collectible item from e-bay. Wallpaper and background images in the Severus Snape club tagged: severus snape alan rickman severus. This Severus Snape photo might contain well dressed person, suit, pants suit, pantsuit, outerwear, overclothes, and box coat.